Announcement! My Very First Book Signing Is Coming Soon! That’s right, folks. 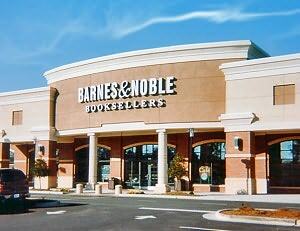 On Saturday, March 2nd from 2-4 pm, I’ll be at the Barnes and Noble store in Rome, GA, signing my books! A group of authors will be there and we’re very excited to have time to network with each other, our readers, and potential readers! If you live in the North Georgia area or the Atlanta area, we’d love to have you come up and meet us! This is a very exciting development in my journey as a published author. I was so excited when I was invited to join in on this event! It’s hard to believe that it is only a week-and-a-half away. I found out about this author signing in January, but I’ve had to keep a lid on it as I prepared my inventory and business accouterments (such as classy business cards and the like). I’m so pleased I can finally share my good news with you all! There are several reasons that self-published authors should take the time to format their novels for print as well as electronic versions. Things like book signings are great opportunities to spread word-of-mouth press about your books and to meet readers. If you only had electronic versions, things like this would not be as accessible. Formatting for print doesn’t take that long if you’re savvy with your word processor (or if you can pay someone else to do it) and the results are well worth it. My print books have sold very well. They’re not the biggest sellers, of course, but selling some is still a great thing. I still have a few more things to do to prepare for my signing (i.e. make an information graphic for my table, pick out an awesome outfit, continue to spread the word about the event etc. ), but I’m getting more and more excited as each day passes! Have you ever been to a book signing or participated in one? What are your tips for having a successful signing? I’d love to soak up your wisdom! >> Be sure to stop by again today to check out the weekly Wednesday Wanderment linkup post! >> Night Bells is currently FREE at Smashwords with the following coupon: NX44H // Limited time! >> Don’t forget to sign-up for the Nine Nights of Narnia Blogging Event that will take place in April! You’ve got plenty of time to prepare for it and it would be a terrific way to have fun, increase blog traffic, and meet fellow C.S. Lewis fans! ← Six Month Anniversary of Night Bells! Free Ebook for Limited Time!